In one of the industry’s most anticipated events, Airbus Helicopters today presented its all-new H160, raising the standards for performance, cost effectiveness, passenger comfort and environmental impact to create the medium-class rotorcraft benchmark. 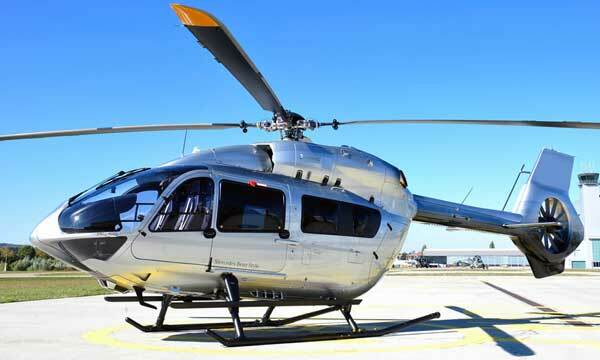 As the first product introduced with the Airbus Helicopters corporate identity and its new numbering designation, this 5.5-6-ton-class rotorcraft’s nose-to-tail breakthroughs in design and systems exemplify the company’s transformation plan that puts customer satisfaction and operational safety first. 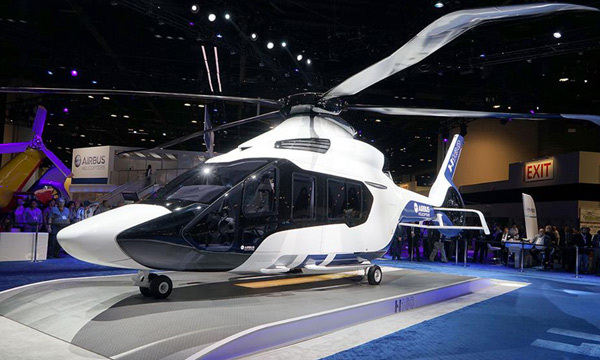 Airbus Helicopters unveiled the twin-engine H160 at the Heli-Expo industry show’s opening in Orlando, Florida, where a full-scale representative model is being displayed on the company’s exhibit stand (Booth #2437). The H160 brings form and function together in a highly stylized rotorcraft, which integrates as many as 68 different Airbus Helicopters-patented technologies. 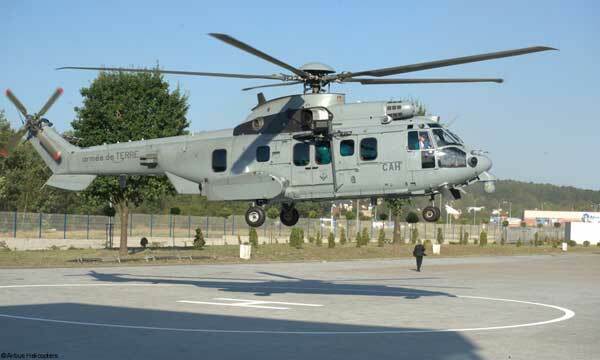 Its payload lift, range and efficiency make this helicopter ideally suited for a wide variety of uses, including oil and gas operations; public services, air medical and coast guard duties; along with commercial transport, private and business aviation. With a cruise speed of 160 kts., the H160 can carry 12 passengers at distances of up to 120 NM. for oil and gas missions, and a 450-NM range with 20-minute reserve in public service or search and rescue tasks. The distinctive design of the H160 includes two Airbus Helicopter firsts, both offering improved performance and flight stability: the largest-ever Fenestron® shrouded tail rotor, which is also double-canted at 12-deg. angles, further enhancing anti-torque control efficiency; and the all-new Biplane Stabilizer™, whose unique design involves a staggered placement of the dual-level, interconnected stabilizers. This feature facilitates pilot maneuvers and significantly reduces aerodynamic penalties in low-speed flight and hover. An additional H160 technology breakthrough is Airbus Helicopters’ initial production use of its Blue Edge® main rotor blades, which reduce exterior noise levels by 50 percent (3 dB) and also allow a payload increase of up to 100 kg. when compared to traditional rotor blades, depending on flight conditions. The H160 is the first-ever, fully-composite civil helicopter, resulting in an airframe that is lighter in weight, more robust, resistant to corrosion and fatigue, while requiring less maintenance. Airbus Helicopters’ proven Spheriflex bearingless main rotor hub is further enhanced with the application of innovative composite thermoplastic technology – which reduces weight and increases damage tolerance. The H160’s integration of Airbus Helicopters’ Helionix® avionics marks its latest application of the first digital avionics suite to be fully designed and integrated by a rotorcraft manufacturer. Operators will benefit from the increased safety that Helionix® provides through reduced pilot workload, enhanced situational awareness, improved flight envelope protection and system redundancy. In service today on the EC175 and EC145 T2, Helionix® is an avionics family concept that enables software improvements to be integrated and retrofitted on the H160 as well as other helicopters in the company’s current, future and evolved product lines. 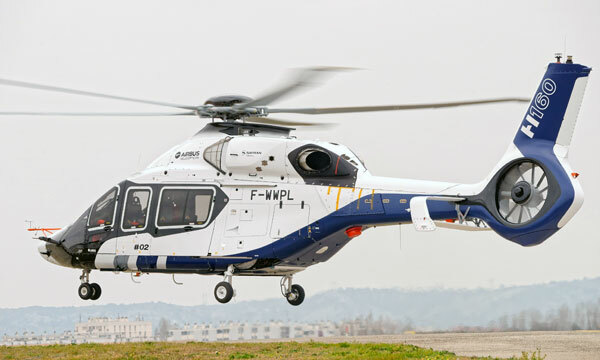 To power its H160, Airbus Helicopters has selected the new Turbomeca 1,100-shp. Arrano engine, which offers significant reductions in fuel consumption for improved range and payload performance, along with a reduced environmental footprint. An optimized maintenance concept designed to significantly decrease the need for on-site servicing will contribute to lower operational costs for the helicopter. Additional features of the H160 include electric landing gear, requiring less maintenance while also allowing more payload to be carried; easy access to various maintenance areas, which was taken into consideration during the concurrent engineering process; along with flexibility in the maintenance plan to match operators’ needs and constraints thanks to the MSG-3 (Maintenance Steering Group-3) inspection methodology. 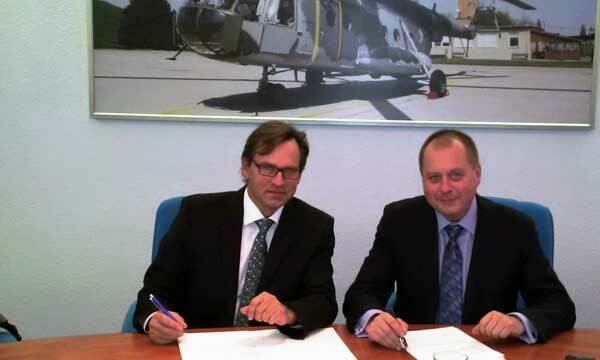 Airbus Helicopters has invested heavily in the H160 program to ensure efficiency throughout development. Three dedicated prototype aircraft are fully supported by two new ground-based integration test means that enable comprehensive validations of the various system integrations to ensure the highest levels of maturity before the H160’s first flight and shorten the entire development process. The Dynamic Helicopter Zero is a test bench fully representative of the rotorcraft’s dynamic systems, the main and tail rotor flight controls, along with hydraulic, electrical, avionics and health/usage monitoring systems whereas the System Helicopter Zero integrates the H160’s avionics, electrical harnesses, fuel system, hydraulics, flight controls, lighting and all key elements that are connected electrically and involve software. Development of the H160 began in 2013, with the definition of the final aircraft configuration confirmed this year. The helicopter’s first flight will also take place in 2015 and service entry is planned for 2018.